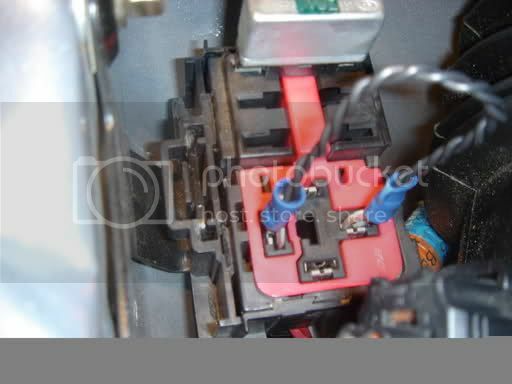 What triggers the cooling fan relay to kick the fans on? My left fan is not comming on and the fuse is good and so are all the relays .Checked both fuses and all 4 relays.? Thank you all ..! Use a jumper at the relay socket. This will tell you if it's a relay signal issue or if the problem lies in the wiring or fan itself. if the left high speed fan works, but the low speed one doesn't, then the most likely culprit is the ballast resistor.